Let’s hear it for South Africa! | the wine snob. Let’s hear it for South Africa! Okay, let’s cut to the chase: I love South African wine. Now. I didn’t always. I got burned once or twice on some less-than-stellar South African wines, and they left a bad taste in my mouth (get it?!). But as Fall approached, I felt a burning desire to find the perfect South African red to share with our dear Cellar clientele. I knew that if I found the perfect one, you would all embrace it. Alright- maybe that’s overstating the case just a tad, but I really was on a quest of sorts to find a great by-the-glass red from South Africa. 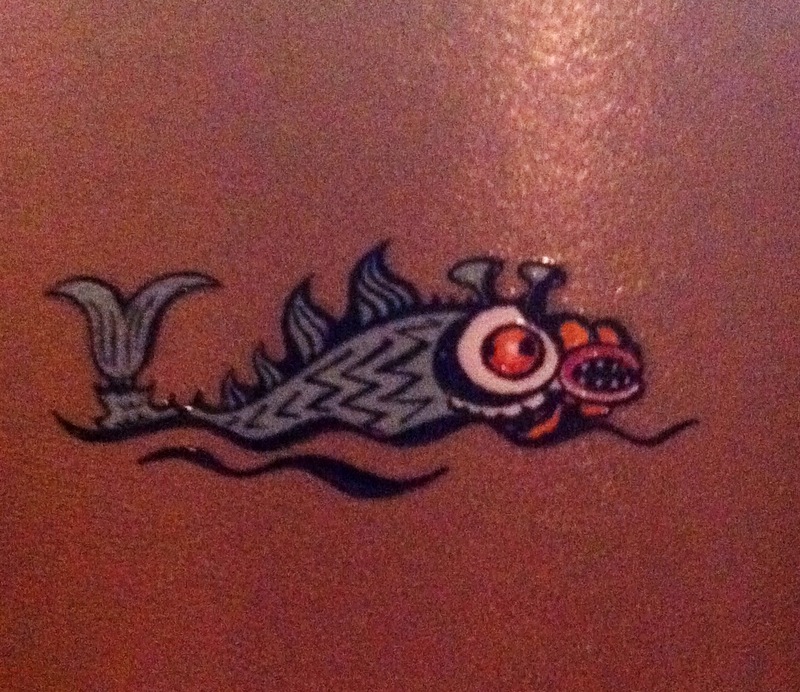 what exactly ARE you, little guy? “Tormentoso” means “Cape of Storms”, which is what Portugese explorers first called to-be-named-later Cape of Good Hope. So it appears this aquatic vertebrate with teeth is most likely braving the rough seas that surround the Cape of Good Hope. He looks ready to bust some shots at people who should cross his path. Perhaps that is indicative of the sturdy and reliable nature of this wine? Or maybe he’s just fun to look at. Either way, I’m fine with it. I like him. 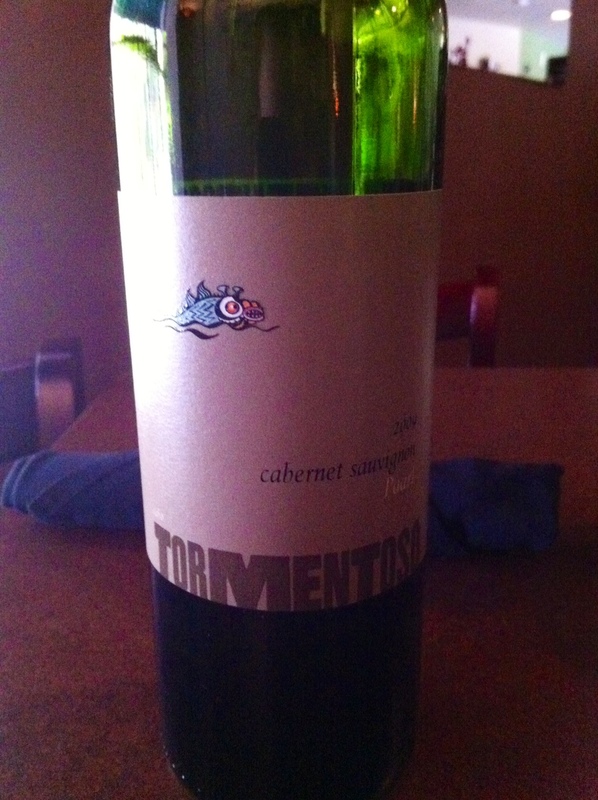 I’d be really interested to try the Tormentoso Mourvedre, as well- check out their website here, for a look at how beautiful the wine country is and what else they offer. 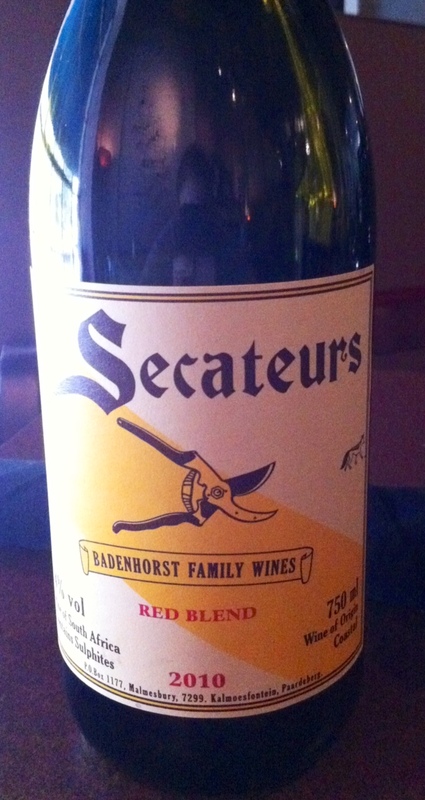 Next is a really wild and crazy little red blend from Badenhorst called “Secateurs”, 2010 vintage from Swartland, slightly north of Cape Town. This might be one of the better wines I’ve tasted in a while. Perhaps my fanaticism just stems from the fact that as soon as I tasted it, I knew my prayers had been answered and I’d found my perfect South African red by-the-glass pour. The Secateurs is a blend of 74% Shiraz, 10% Cinsault plus various amounts of Grenache, Carignan and Mourvedre. It is a focused and detailed wine, opening with a bouquet of ripe raspberry, red licorice and blackberry liqueur. A peppery and spirited palate with a touch of cedar and graphite. Finally, it finishes with fantastic grip, nice acidity and a dry sort of finesse and vibrancy. It’s a lip-smacker. The sort of wine that upon completion of a sip, you have no choice but to smack your lips and say “day-um!” Or maybe that’s just me. The 2010 vintage just got 90 points from Robert Parker, and the 2009 was given 89 points by Wine Spectator! It appears I’m not alone in my love of this wine. The thing I really appreciate about South African wine in general is that it just offers something a little different than the norm. At least from my perspective, it can be monotonous to taste, see, and hear about the same California (just as an example) wines over and over. One of the more fun aspects of my job is finding something that will just nudge people’s tastes in a slightly different direction. Its wines like these that can really broaden your tastebuds, and open your eyes to just how many different tastes there are out there. It’s somewhat mind-boggling, really. But that’s in essence what I really love about wine. Even if you’re a master sommelier, there’s still something new to learn about and be tasted. In summation, you can find the Tormentoso Cab in this week’s Mystery Case selections, the Secateurs as a by-the-glass pour, and BOTH are likely to make an appearance at this Saturday’s WINE SALE from 12-2! Tormentoso retails for $14 (probably a slight drop for the sale) and Secateurs for $16 (ditto). Also keep an eye in your inbox this afternoon, as our annual Thanksgiving Wine Packs are coming out! We’re all about options here. Cheers! ← So many Pinots, so little time! Pingback: Badenhorst “The Curator”, 11 South Africa | the wine snob.